Tool to generate a QR-Code. QR code is a 2D barcode standard made of black and white squares, recognizable with three smaller squares in its angles. Team dCode likes feedback and relevant comments; to get an answer give an email (not published). It is thanks to you that dCode has the best QR Code tool. Thank you. > [News]: Discover the next version of dCode QR Code! Encryption of data in a QR code uses the ISO norm 18004:2015 (QRCode). How to recognize a QR Code? The 2D bar code has generally 3 black squares in the corners and a matrix of black and white dots. What does QR means in QR Code? What are the variants of QR Code? The center of the QR-Code is sometimes non-coding and therefore used to incorporate a logo. Otherwise, there are many other 2D barcodes like DataMatrix (FlashCode), Aztec, PDF 417, etc. When QR code have been invented? First QR codes have been published in Japan in 1999. 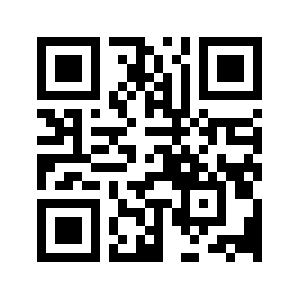 Improve the QR Code page!